Happy Holidays from the Paos! 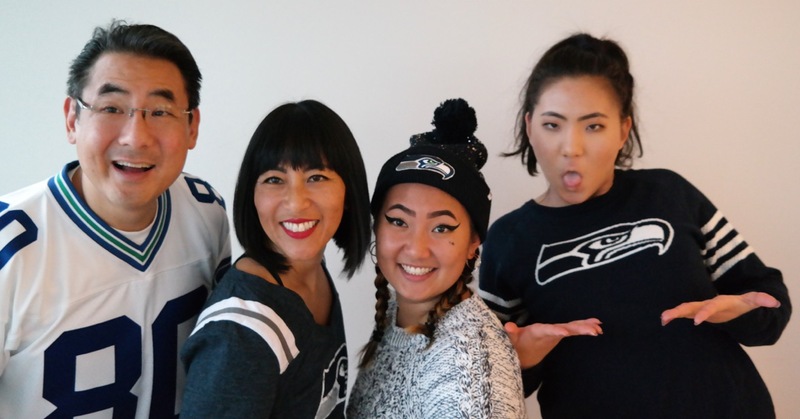 It is just over a year, and Seattle is officially home now that we own Seahawks gear. 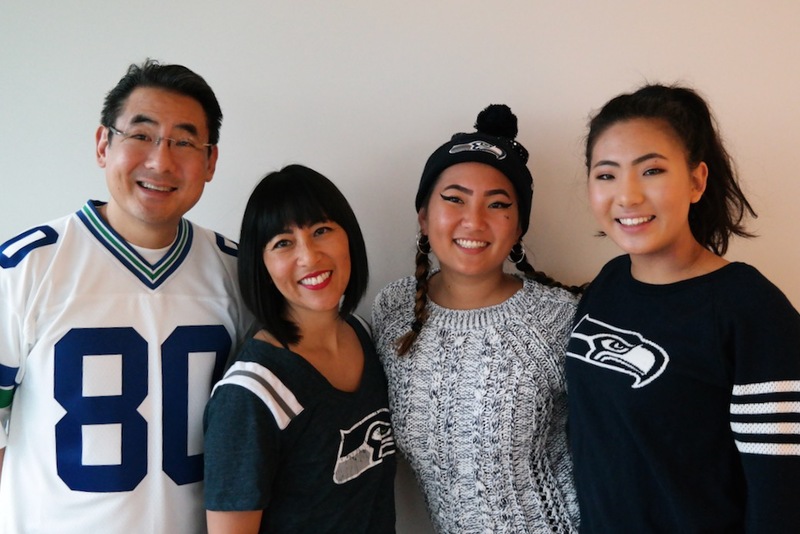 (See photo) When Marsha could not pre-board an Alaska Air flight because she wasn’t wearing anything Seahawks…it was time to commit! Go Hawks! Stephen — Continues to work at leveling up to 40 on Pokemon Go and continues his side hustle at Igneous Systems. Marsha — Has started sewing again after a long hiatus but most of her time is spent fending off Christina’s claims of “going soft” on Annalisa as a parent…false accusations as every skipped class is pre-approved. Annalisa — Flew to London in the Spring to see her photo displayed at the Sony World Photography Awards where she was recognized as one of 50 commended photographers in the Youth Competition. She swam in the WA State Finals this Nov. but more importantly she was submitting college applications between naps. Thanks to those of you who continue to enjoy the updates! (or at least pretend to…) We appreciate the support! Take care and keep in touch! I love the update!!! So glad everything is going so well and I definitely miss seeing you guys! Can’t wait to see where Annalisa ends up choosing for college!!! Talk to you guys soon and Happy Holudays from our family to yours!! Seasons greetings and very best to the Paos! Proud Papa wonderful family! Always entertaining. Love you guys!!!! !